EDGE router is a compact electronic device based on the module which enables data transfers using GSM, GPRS and EDGE technologies. 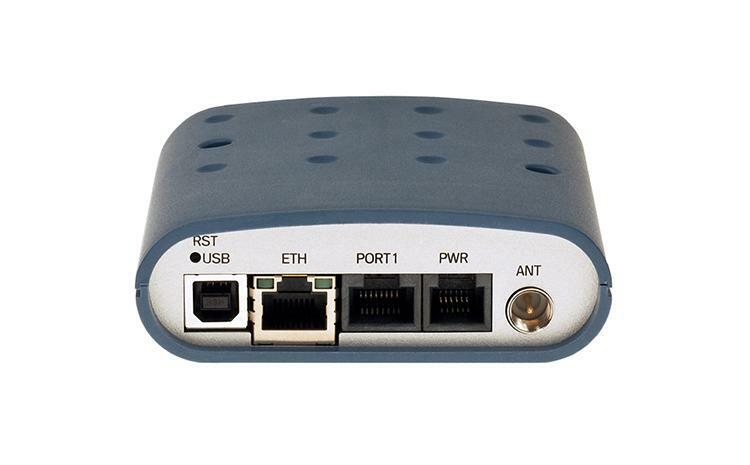 Primarily, the router expands the capabilities of the module by the option of connecting more PCs by means of the built-in Ethernet interface. In addition, the firmware of the router provides automatic establishment and maintenance of GPRS connection. By means of integration of a DHCP server it provides the users with simple installation and Internet access. In addition, the router is equipped with a USB 2.0 Full Speed interface which is designed only for connection to a PC with Windows 2000, Windows XP or Windows Vista operating system. For operation it is sufficient to install drivers from the supplied CD to the PC. By consumer request it is possible to equip the router with a modulus port PORT1 and extend the functionality of EDGE router about RS232, RS485/RS422, M-BUSD or CNT (I/O module). The EDGE router has four versions. The first version is the basic ER 75i, the second version is the ER 75i DUO with two SIM cards, third version is the ER 75i SL in an aluminum box and the last version is the ER 75i DUO SL with two SIM cards in an aluminum box.